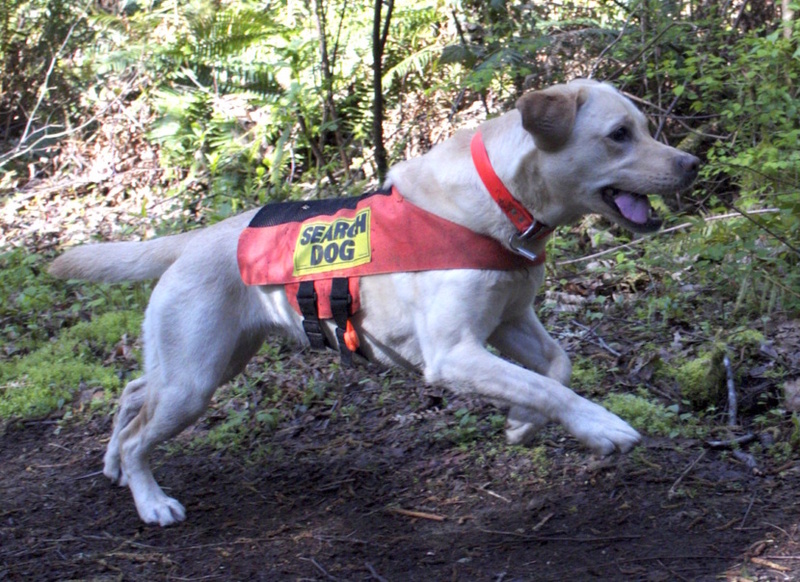 Tule and Mathew passed their airscent certification test with flying colors last Saturday and are now ready for in-county and out-of-county search missions. A wonderful accomplishment! The test subjects were especially happy that Tule found them quickly on such a cool wet day.